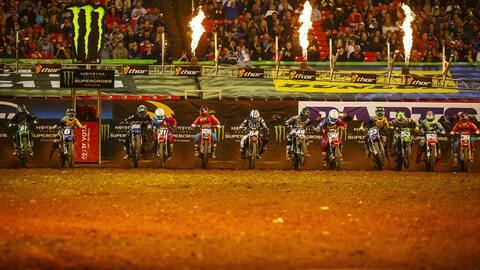 The Monster Energy Supercross riders head to the Georgia Dome in Atlanta this weekend for the Atlanta Supercross. This weekend’s event marks the eighth round of the season for the 450SX riders and the second round for the 250SX East riders. Riding a wave of momentum, Eli Tomac will be looking for his fourth win in five races as he continues to try and eat into Ryan Dungey’s points lead. Meanwhile, Cooper Webb will not be competing at tonight’s event following a hard crash last weekend in Minneapolis. Weather will not play a factor this weekend at the Georgia Dome is a domed stadium. While the Georgia Dome is a domed stadium, the weather looks promising anyhow. 51 degrees under clear skies. No chance of rain according to weather.com.